Pinnacle brand cat food is manufactured by Breeder's Choice, Inc. Breeder's Choice was first founded in 1947, by a man named Harold Taylor. At the time, Breeder's Choice was based out of Irwindale, California, and became well-known for manufacturing frozen pet dinners. Starting in 1960, Breeder's Choice began producing oven-baked kibble products and treats. A bakery was opened in the Irwindale manufacturing facility in the 1960's, which even today is responsible for producing many of the Breeder's Choice baked pet products. Breeder's Choice is one of the few companies to incorporate avocados into their pet food formulas, which is still a hotly debated topic among pet food nutritionalists. In addition to producing Pinnacle pet foods, Breeder's Choice also manufactures Active Care, AvoDerm natural, APD Select Choice, and Health Food for Dogs, which are all pet supply lines of products. As of current news, none of the Pinnacle brand of cat food formulas are currently on the FDA's pet food recall list. Pinnacle brand cat food is currently manufactured in one dry kibble formula, as well as three different canned cat food formulas. Pinnacle cat food is marketed as a hypoallergenic cat food, and is 100% grain-free. Due to having very low levels of carbohydrates, Pinnacle brand cat food is marketed as being easier to digest for many cats than other commercial pet foods. Pinnacle's dry cat food formula is currently available in a small 1.5lb bag, a 4.5lb bag, and a large 15lb bag. Pinnacle Peak Protein Allergen-Free Chicken & Ocean Fish dry cat food formula is suitable for all adult cats. This formula is grain-free, and does not contain a high level of carbohydrates. The only preservatives used in this formula are Vitamin C and Vitamin E; also, this formula is packaged in an Oxygen Barrier bag. The first five ingredients listed in this formula are Chicken Meal, Chicken, Potato Protein, Potato Flour and Chicken Fat. As you can see, three of the first five ingredients are derived from Chicken. Other ingredients in this formula include Ocean Fish, Tomato Pomace, Dried Egg, Cranberries, Salt, Taurine, Dried Yucca, Ferrous Sulfate and Riboflavin Supplement (a source of vitamin B complex). There are no corn ingredients in Pinnacle brand dry cat food. The Guaranteed Analysis of this formula contains 42% Protein and 18% Fat. Most consumer reviews about Pinnacle brand cat food are positive. 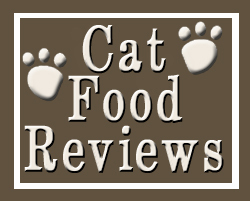 The dry cat food formula seems to be fairly popular among pet owners, with many sites listing it as having a perfect 5-Star review. A positive effect of feeding cats Pinnacle brand cat food (as listed by several reviews) was that it was able to get rid of any skin problems in cats that are sensitive to specific ingredients. In addition to this, most cats seem to find the Pinnacle dry cat food formula extremely palatable. While some consumers stated that they wished there were no potato ingredients, potatoes are a complex carbohydrate, and are easier for a cat to digest as opposed to simple carbohydrates.